BACK-UP CAMERA, 4X4, LEATHER, BLUETOOTH, REAR PARKING AID, MP3 Player, KEYLESS ENTRY, SAT RADIO, ALLOY WHEELS. All prices after rebates. Some rebates require Ford Credit financing. Residency restrictions apply. Not all customers will qualify for Ford Credit financing. Prices subject to change. Please verify current price with the dealer. Price does not include tax, $199 Administration Fee or any other state or local fees. 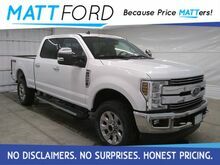 TRAILER TOWING PACKAGE, AM/FM STEREO MP3/CLOCK, 6.7L POWER STROKE V8,6-SPEED AUTO TRANS, FOG LAMPS, ADJUSTABLE GAS/BRAKE PEDAL,REVERSE VEHICLE AID SENSOR, 8-WAY POWER SEAT-DRIVER, SNOW PLOW PKG,REVERSE VEHICLE AID SENSOR, ENGINE BLOCK HEATER, SKID PLATES,SPARE TIRE AND WHEEL, JACK, UPFITTER SWITCHES, SYNC 3 VOICE-ACTV SYS,110V/400W OUTLET, PLATFORM RUNNING BOARDSDIESEL, BACK-UP CAMERA, 4X4, BLUETOOTH, MP3 Player, KEYLESS ENTRY, SAT RADIO, ALLOY WHEELS. 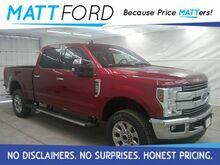 All prices after rebates. Some rebates require Ford Credit financing. Residency restrictions apply. Not all customers will qualify for Ford Credit financing. Prices subject to change. Please verify current price with the dealer. Price does not include tax, $199 Administration Fee or any other state or local fees. Ships Free to: KS, NE, MO, NE, AR, CO, OK, TX. 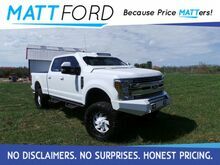 6.5" Lift, 37" Tires, 20" Custom Wheels, Custom Front Bumper, Custom Side Steps, ViCowl Front Window, 30" and 20" LED Light Bars, Painted Rear Bumper, TRAILER TOWING PACKAGE, REVERSE VEHICLE AID AND SENSOR,B&O PLAY PREMIUM AUDIO, NAVIGATION SYSTEM, UPFITTER SWITCHES,HD SATELLITE DIGITAL BROADCAST, JACK, 50 STATE EMISSIONS,EXTRA EXTRA HEAVY DUTY ALTERNATOR, TAILGATE STEP,LED BOX LIGHTING, REMOTE START SYSTEM, 10-WAY PWR FRT SEATS W/DRV ME,HEATED/COOLED FRONT SEATSBACK-UP CAMERA, 4X4, LEATHER, BLUETOOTH, REAR PARKING AID, MP3 Player, KEYLESS ENTRY, SAT RADIO, ALLOY WHEELS. 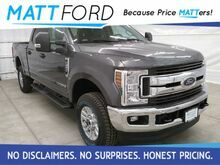 All prices after rebates. Some rebates require Ford Credit financing. Residency restrictions apply. Not all customers will qualify for Ford Credit financing. Prices subject to change. Please verify current price with the dealer. Price does not include tax, $199 Administration Fee or any other state or local fees.